Cliff Keen E58 Signature University of Iowa Camo Herkie Protective Earguards for Wrestling are the best protection against cauliflower ear. 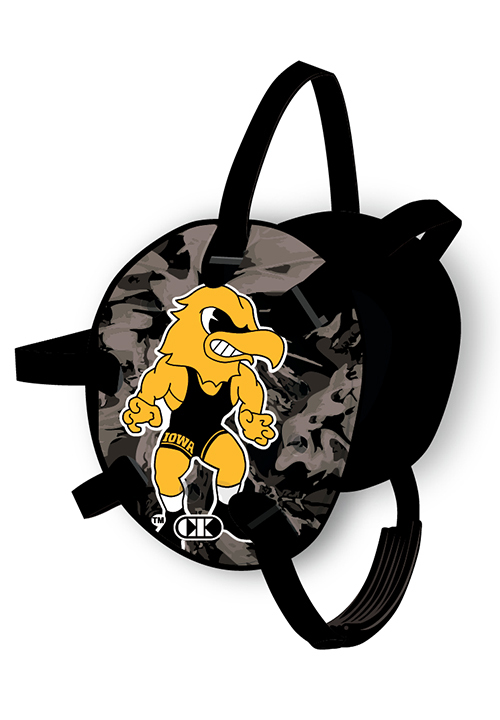 Lightweight, comfortable and fully adjustable, Cliff Keen Signature University of Iowa Camouflage Herkie Wrestling head gear is the best selling ear guard of all time, on sale for a discount price. For longevity in the sport, keeping your ears healthy is important. For as much practicing you must do to excel in wrestling, you will spend much time wearing protective earguards. Wrestling headgear that’s uncomfortable, doesn’t fit right or is too large will be a constant distraction on the mat and you will end up not wearing it as much as you should. This could lead to the onset of cauliflower ear, a painful and disfiguring condition. For ear guards that are not only protective but comfortable to wear as well, check out Cliff Keen E58 University of Iowa Herkie Camouflage Signature Headgear. 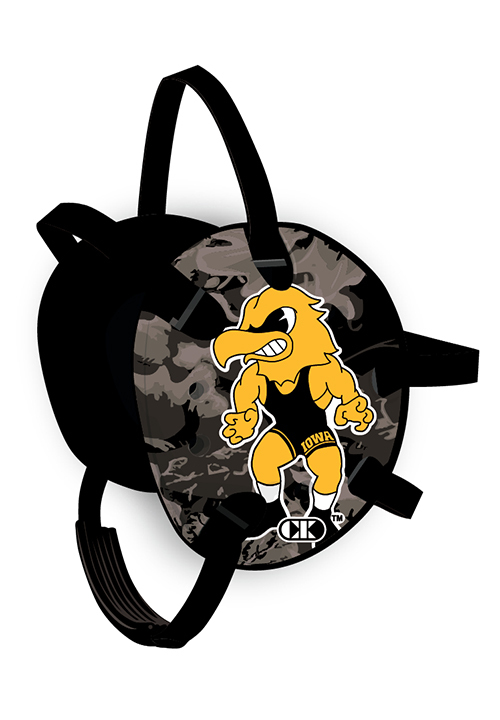 There’s a reason why the University of Iowa Camo Herkie adult men’s and women’s Cliff Keen E58 Signature headgear has become the most popular basic standard in wrestling protective equipment. The high-tech earguard foam patented by Cliff Keen almost 50 years ago has been updated for the sleekest performance you will find. This men’s and women’s University of Iowa Camo Herkie is super lightweight and adheres tightly to the head with an extremely low profile offering greatly reduced friction on the mat. The protective grappling ear guards on E58 headgear offer plenty of protection but are thin enough and have vent holes so hearing your coach’s instructions is unhindered. Cliff Keen E58 University of Iowa Camo Herkie Signature wrestling headgear is secured by 4 head straps and a chin strap that fits underneath the jaw line. These wrestling earguards are fully adjustable and can even be fitted for youth sizes. Head straps on Cliff Keen E58 headgear are super strong and will never need replacing. Buy your University of Iowa Camo Herkie E58 Signature Headgear from our online wrestling gear and supplies store and you will get the best possible lowest online sales price possible.